In mid-season 2010-11 Sergio Zijler moved abroad to sign a 1,5 year contract at HNK Rijeka from Croatia. 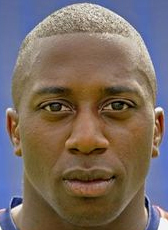 He was on a free transfer after being released from his contract at Willem II in summer 2010. Several trials resulted finally in a contract at the Croatian club. At the end of the 2010-11 season he moved to Turkey to sign for the just promoted club Orduspor. In mid-season break, he was released from his contract in January 2012. In the 2013-14 season, Zijler was under contract at Telstar before moving to Achilles 29 on an amateur contract. In February 2015, the forward joined the Romanian competition for Cluj. He could not help to prevent the club from relegation at the end of the season and was released on a free transfer in June 2015. Zijler signed at Dutch amateurclub FC Lienden in September 2015, but only played three games for the club. He left the club in December 2015. His current status is unknown. Zijler is a Surinam international.